Shiretown Beer, located in Charlo, NB, should have their flagship beer, Blonde du Quai, for sale in 500 mL bottles at select ANBL stores by the end of next week. A Blonde Ale with more hops than typical, Blonde du Quai recently won a bronze medal at the Saint John Beer Festival on April 13th. Look for it at ANBL locations in Campbellton, Charlo, and Dalhousie, and on tap around the province. Here’s the direct “Find it” link. Railcar Brewing Company, which will be opening by the end of 2013 in the Florenceville-Bristol area, has added an online store to their website. Currently, hats, men’s and women’s t-shirts, and women’s hoodies are available for purchase, with glassware being added soon. The Antigonish Townhouse has been open since July 2012, and have now started brewing test batches on their SABCO Brew Magic system. We’re excited to hear about another brewpub “opening”, and with the success the restaurant is already having, think the locals will enjoy their in-house beer. Stay tuned as we do a profile on them in the coming weeks. Garrison Brewing have done a special release of their 15 Malt Anniversary beer, aged for three months in Glenora Distillery Barrels. This is only available at the brewery, and is very limited, sorry! The Saltscapes Expo is on this weekend at the Halifax Exhibition Park. Not beer-centric per se, but lots of breweries will be in attendance: Propeller Brewing, Garrison Brewing, Ironworks Distillery, PEI Brewing, Prince Edward Distillery. And congratulations once again to Big Spruce! We attended their HRM Launch Party at the Wooden Monkey Dartmouth, and sampled both their Kitchen Party Pale Ale and Cereal Killer Stout. While we didn’t kick as many kegs at the Sydney party (I blame the poor weather), the beer, food and music was great! Their beer is now on tap in Halifax (Wooden Monkey [Dartmouth], The Argyle Grill and Bar [Halifax], Gabrieau’s Bistro [Antigonish], Bras D’Or Yacht Club [Baddeck], Governor’s Pub and Eatery [Sydney], East Side Mario’s [Sydney]). I recently had the chance to do a tour of PEI Brewing Company‘s beautiful new facilities, located at 96 Kensington Rd (at Garfield St) in Charlottetown. The former cabinet factory has been undergoing renovations for over a year, and will be have a grand opening in early May. Still being completed, the foyer will house 17 vingettes, highlighting the history of the brewery and its principals. It will be a great place for visitors to grab a pint and wander around while waiting for a guided tour, or grab a growler to enjoy at home. It will highlight the important ingredients of beer: water, grain, hops and yeast and the brewing process (think waterfalls and hops bines climbing trellis). There is also a massive Events room, complete with stage, that will be home to concerts, weddings and any other events looking for a cool venue. The brewery is a DME 50 hectolitre system, a big step up from their current 20bbl production system (just up the road, on Walker Drive). 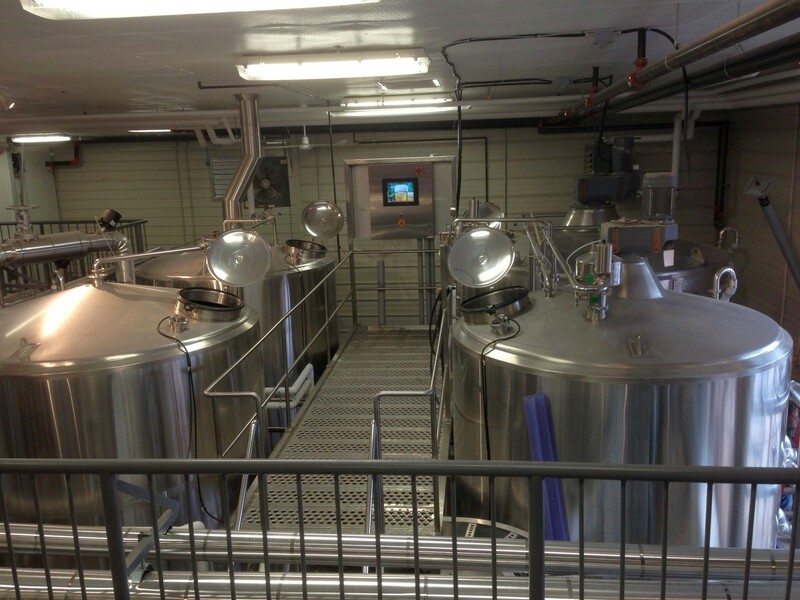 There are three 100hl and three 150hl fermenters to accept the wort, allowing production to at least double. This will save them from always playing catch up to meet the demand for their most popular beers: the Beach Chair Lager, Gahan Sir John A’s Honey Wheat, Island Red, Iron Horse Brown and 1772 IPA. The facilities are set up to allow the public to get up close and personal with their favourite brewery. There is a massive window in front of the brewhouse, offering a peek into the brewing from Kensington Road (hopefully there will not be traffic jams as drivers watch the goings-on). Inside the brewery, a guided tour will take visitors on an elevated walkway, giving a great view of the brewing process, from the milling of the grain from the massive silos, through the mashing, boiling, cooling, fermenting and packaging. We will update you once the facilities open to the public. In the meantime, the PEI Island Brew Tour is highlighting the pairing of their beer with great restaurants across PEI. Check their Facebook and Twitter for more information. 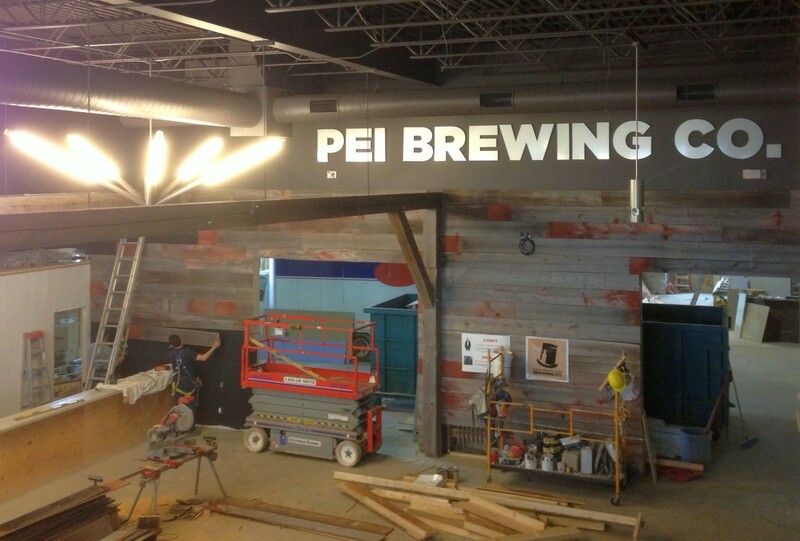 As a reminder, PEI Brewing Company’s beers are available in the PEILC and many restaurants on the island. As well, the ANBL carries their main line of beer, and some will be available in the NSLC shortly, followed by Newfoundland and Labrador, and parts further West. 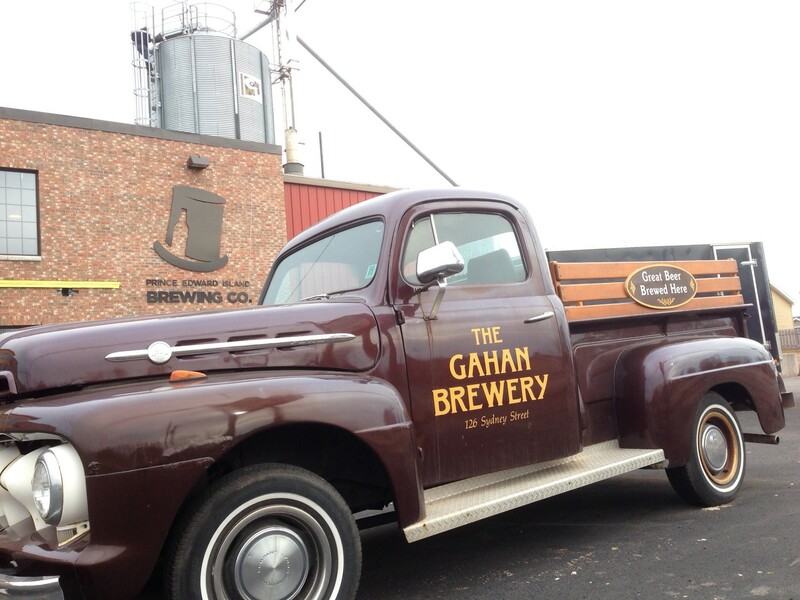 From their start in a Lone Star Cafe 15 years ago, to the Gahan House (where they continue to brew for onsite sale and specialty beers) and now their expanded facilities, we’re excited to follow what the PEI Brewing Company is up to!